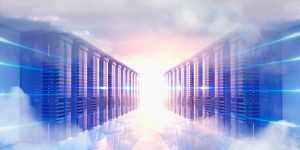 Intel today announced that Intel® field programmable gate arrays (FPGAs) are now powering the Acceleration-as-a-Service of Alibaba Cloud*, the cloud computing arm of Alibaba Group. The acceleration service, which can be launched from the Alibaba Cloud website, enables customers to develop and deploy accelerator solutions in the cloud for Artificial Intelligence inference, video streaming analytics, database acceleration and other fields where intense computing is required. The Acceleration-as-a-Service with Intel FPGAs, also known as Alibaba Cloud’s F1 Instance, provides users access to cloud acceleration in a pay-as-you go model, with no need for upfront hardware investments. As part of the Intel deployment, Alibaba Cloud users will have access to the Acceleration Stack for Intel® Xeon® CPU with FPGAs, which offers a common developer interface, abstracted hardware design, and development tools that support hardware or software development flows (OpenCL™ or RTL) that the developer is most familiar with. Users will also have access to a rich ecosystem of IP for genomics, machine learning, data analytics, cyber security, financial computation and video transcoding.